Which?, the U.K. consumer advocacy organization, just released a report in which they explored the healthfulness of cereal bars. 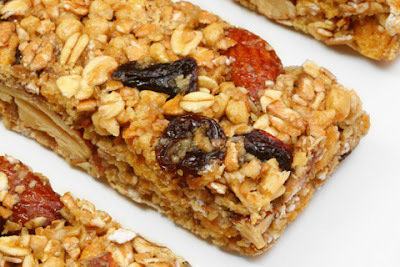 You know the ones -- meal and snack bars from popular cereal brands that are meant to be healthy, and often include whole grains, nuts and dried fruit. But as the research team found, many of these bars were full of sugar, fat and calories. In fact, one bar -- the Nutri-grain Elevenses Raisin Bake -- had 18 grams of sugar, which is almost four teaspoons, or about the same as a small can of Coca-Cola. "People often choose cereal bars in the belief they're healthier than chocolate or biscuits, but our research shows this can be a myth," Which? executive director Richard Lloyd said in a statement. The researchers looked at 30 different best-selling bars, choosing ones that were meant to appear healthiest. They found surprisingly that 16 of those bars had at least 30 percent sugar and had calorie counts akin to cookies. Perhaps most shocking, a third of the bars were high in saturated fat. Though the study was based in the U.K. market, there are several lessons that apply to American bars too. So what should you be aware of?